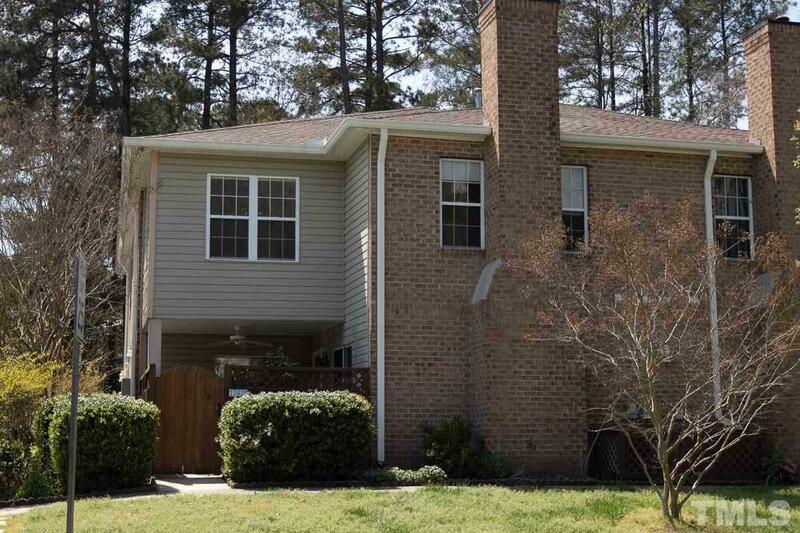 End unit two story condo in popular Finley Forest. Spacious Living Room with fireplace and built-ins. Flexible Dining area adjacent to kitchen. Kitchen features breakfast bar, gas range, stainless steel sink & tile floors. Large Master Bedroom with private bath. Large private partially covered patio. Updated upstairs hall bath. Great location for UNC, Duke and RTP. Close to free busline.